When exhibiting at a trade show you want to be remembered for the right reasons. Well thought out exhibition gifts could be just the thing to separate you from your competitors. 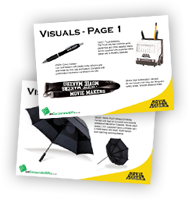 A successful promotional item is something that’s original, useful and portable! 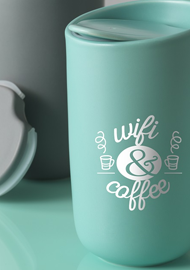 Pens and mugs certainly have their place, but are you a company that dares to be different? If so, you’ll love the 5 surprising gift ideas we’ve selected as examples of how you can impress delegates visiting your exhibition stand. Give them something valuable that reinforces your brand and you’ll be remembered long after the event is over. It’s important to think about what your customers may find useful so your exhibition gift has longevity. In a room full of auto repair specialists, like at the MECHANEX Trade Show, the Dearman Screwdriver Set would be well received, appealing to the delegates’ practical skills. Incredibly useful and original for the recipient but also a great opportunity for you to brand the case, reminding them who this handy gift came from every time they use it. Everyone is drawn to eye-catching exhibition stands and promotional gifts are no different. Think about putting the FUN in functional. A Poncho in a Ball for example is a bright, original and a highly practical giveaway. This would be the perfect gift for someone attending the Childcare Expo - appealing to big kids and little kids alike. With some great opportunities for branding, it’s a product that your attendees can carry with them wherever they go – taking your brand on the move, ready to encourage outdoor play, whatever the weather. Why not choose something that will get your brand heard as well as seen! Show your sense of humour with an exhibition gift that makes some noise about your brand...literally! Our flat whistle for example, is available in three colours and can be personalised with your logo. Playfully appealing to those working in the rail industry, this promotional gift would show off your wittiness at Railtex. Or, perhaps you’re a sporting goods company exhibiting at an exhibition such as Elite Sports Expo and need a quirky way to alert delegates to your stand? A whistle would certainly turn heads. With the average Briton checking their mobile every 12 minutes, there’s a real opportunity to use your exhibition gifts as a way to ensure delegates always have your details to hand. The Shield RFID Cardholder does just that. A perceived high-value product, it protects bank cards or ID’s from fraudulent activities and, with handy adhesive tape on the back, it easily fixes to the back of smartphones. With your branding on the cardholder itself, your delegates will always be reminded of your company keeping them safe. It’s the perfect giveaway for a technology conference, or perhaps someone advertising technology services at the upcoming British Franchise Expo. Who wouldn’t love to make their smartphone photography more creative? And it’s so easy with our Prisma Smartphone Lenses Set. The lens simply clips over smartphones to take pictures with fisheye, wide-angle and macro effects. Delegates will be queuing at your stall for the opportunity to see the world differently through your branded giveaway. This gift would have huge appeal to creatives and could be a real crowd pleaser at exhibitions such as the Media Production Show. At UK Corporate Gifts we have a wide range of exhibition gifts, from classic pens, sweets and lanyards to the more unusual and surprising gifts that can help showcase your uniqueness. You can browse our huge range of gifts online. Or, if you’d like some expert advice on which gifts will get you noticed and appeal to your target market, give us a call to speak to one of expert advisors on 01204 577 995. UK Corporate Gifts understand how busy you are, so our experts have pulled together 10 effective trade show giveaways that will be branded and delivered in just five working days. 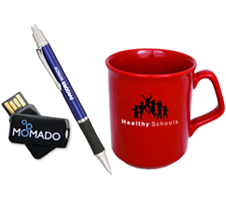 Fast and efficient service delivering promotional gifts to help make your exhibition stand a success. Problem solved! We show you how to impress and delight delegates with our top 5 surprising exhibition gifts. Some creative thinking for your trade show exhibition can really help get your brand noticed and remembered. Get some inspiration in our latest blog. Which Promotional Coasters will Make the Most of Your Investment? Coasters are affordable branded gifts that can be used by a wide variety of businesses. Find out how coasters of various materials and costs can be best utilised for different types of promotions, from short-term upselling to improving brand awareness amongst employees. It can be easy to get caught up in the design of your exhibition stand, but there’s so much more to consider. From getting your attendees to visit your stand in the first place, to following up with prospects so they don’t slip through your fingers after the event. If you’re exhibiting at MECHANEX 2019 or another trade show, try our 4 strategies and heaps of creative ideas for setting your exhibition stand up for success and reap the benefits for your business. As an international business, exhibiting in the UK can be daunting with many cultural and logistical issues to get right. However, if you do get it right, the rewards for your business could be exponential. Read our tips on how to get UK delegates flocking to your exhibition stand, whether you are exhibiting at Railtex 2019 or another UK trade show. Looking for a way to connect with your customers? Here we take a look at the bags that will get you seen, remembered and have your business prospering. Whether you're looking to stand out at a trade show or appeal to an environmentally conscious audience, find out how different branded bags can help achieve your business goals.